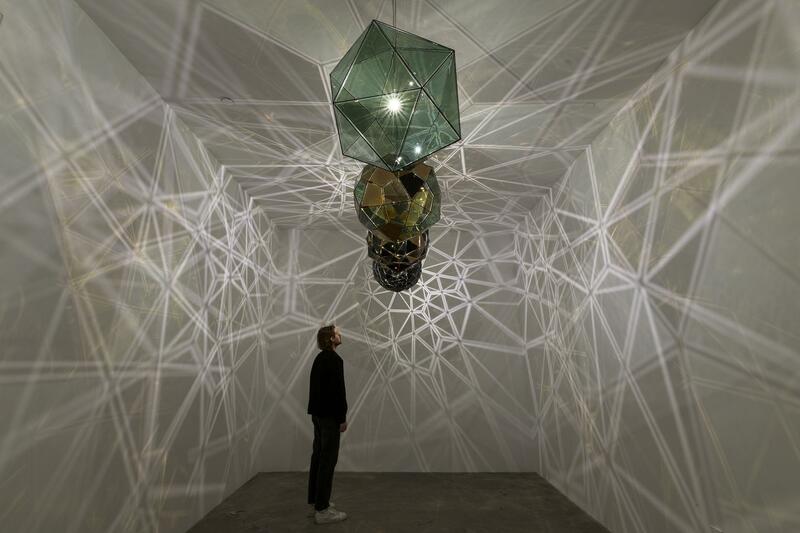 For more than two decades, Eliasson’s installations, paintings, photography, films, and public projects have served as tools for exploring the cognitive and cultural conditions that inform our perception. 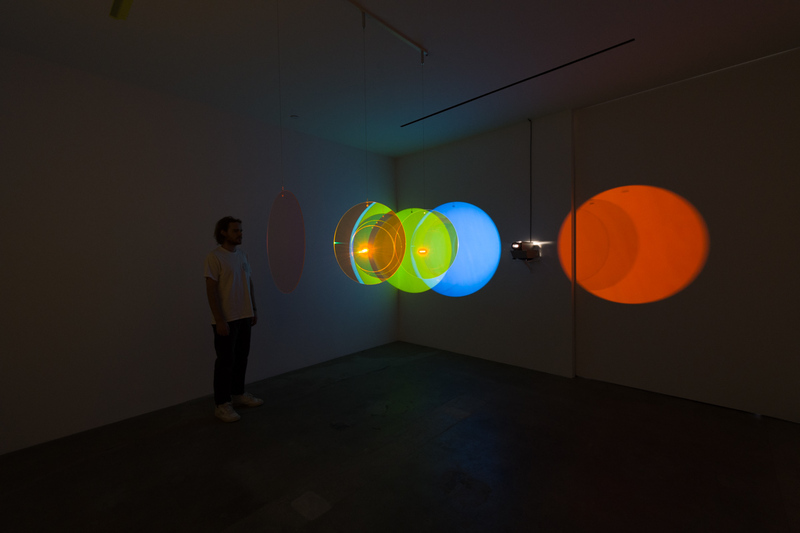 In expansive installations focused on color, light, and movement and in environments that re-contextualize natural phenomena, Eliasson forefronts the exchange between the actively engaged visitor and her individualized experience of the physical artwork in the space. 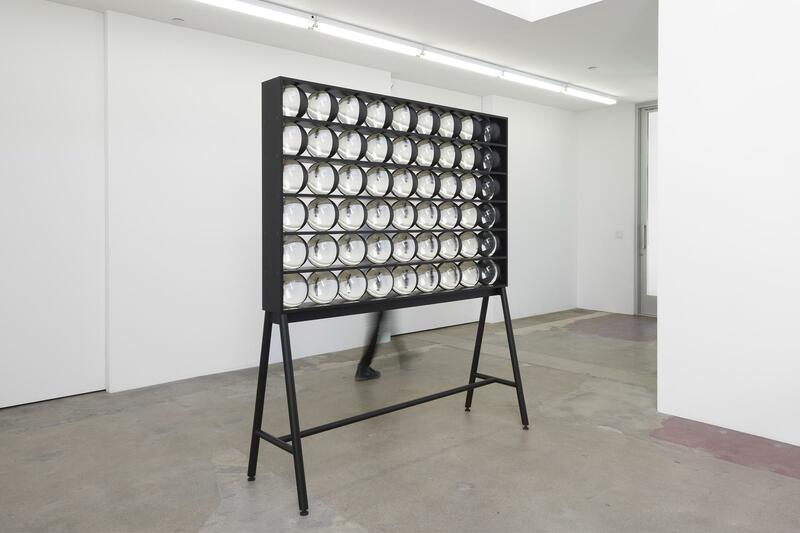 Described by the artist as “devices for the experience of reality,” his works and projects prompt a greater sense of awareness about the way we engage with and interpret the world. Eliasson's practice, not limited to the confines of the museum and gallery, engages the broader public sphere through architectural projects, interventions in civic space, arts education, policy-making, and issues of sustainability and climate change. The speed of your attention continues to explore geometry, light, perception, and movement in new works that offer an array of interactive and meditative experiences as the viewer wanders through the galleries. 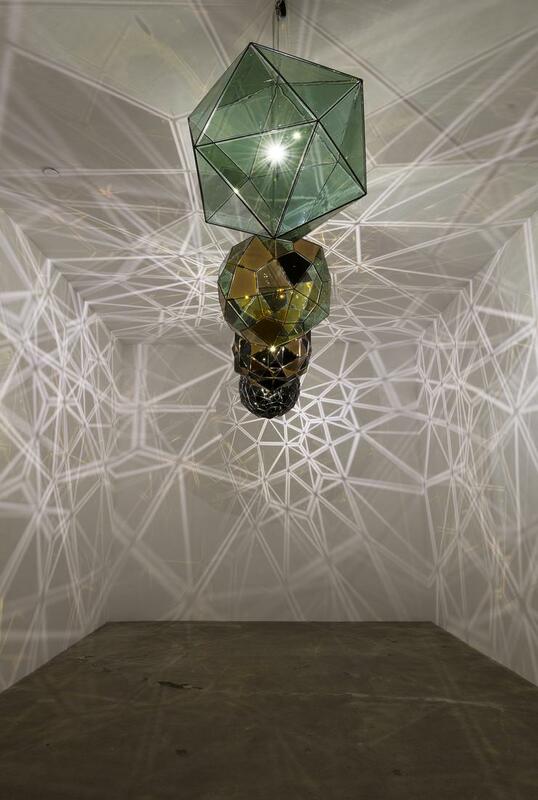 In the entry, the viewer encounters Moving together, a freestanding installation of 54 crystal spheres. 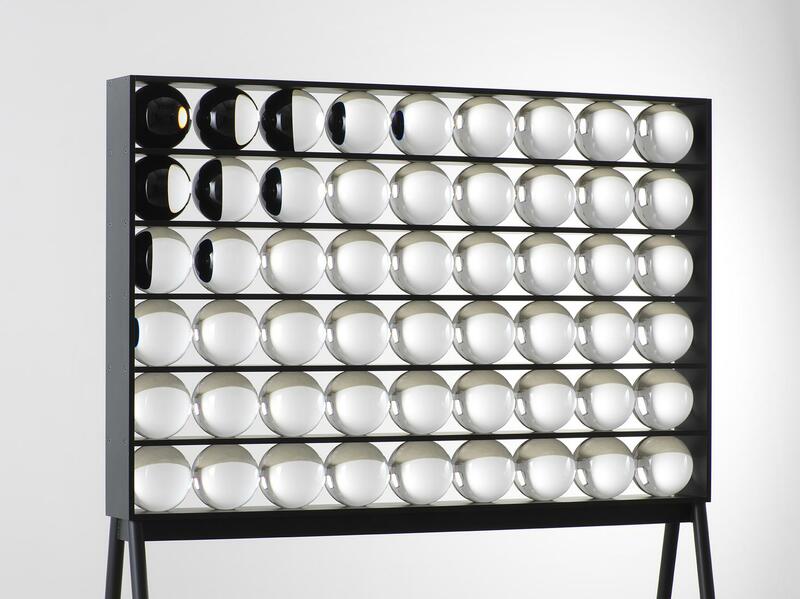 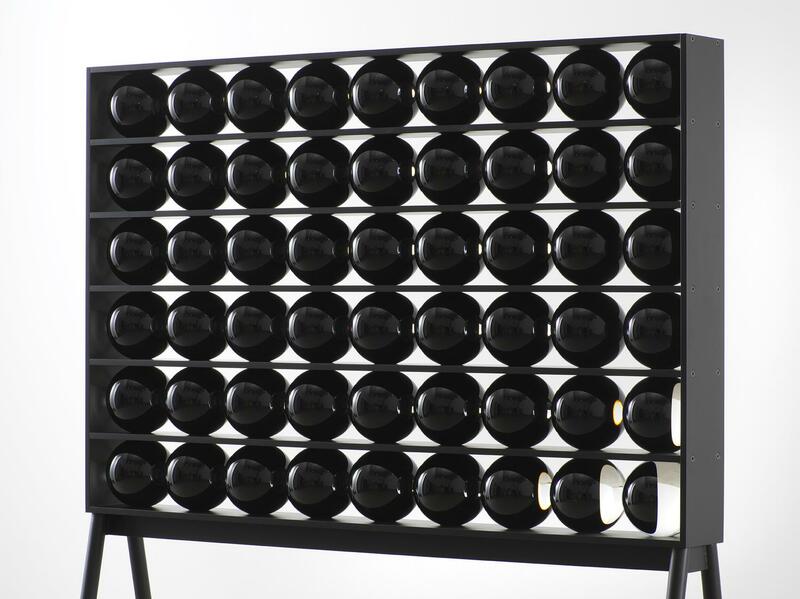 Arranged in a grid of six rows and nine columns, the spheres transition from completely transparent—in which the viewer sees her own upside-down reflection—to varying degrees of transparency and black, to solid black, depending on the viewing angle and the viewer’s movements. 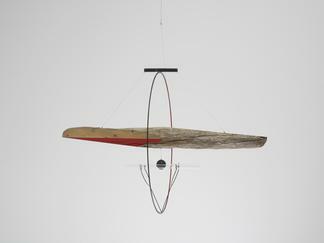 To the left of Moving together, a weathered segment of driftwood hangs from the ceiling by steel wires, piercing the air through the center of a large metal hoop. 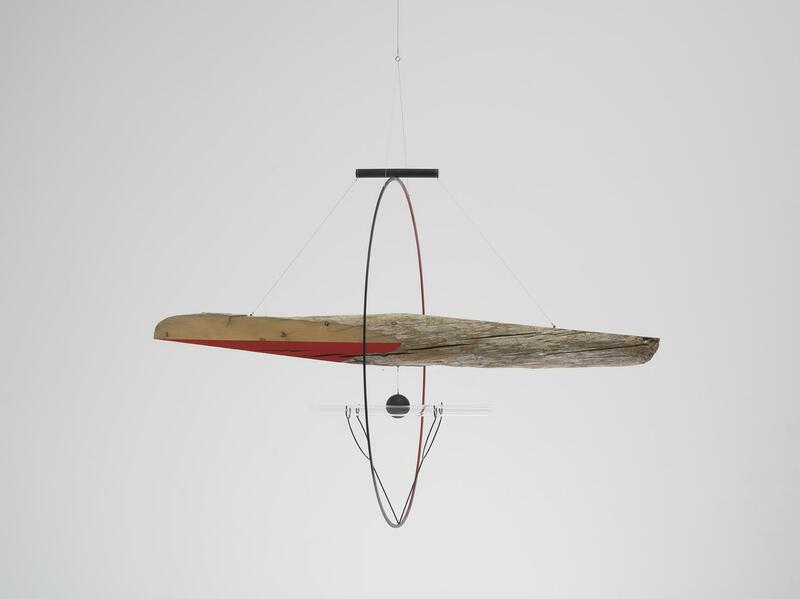 Floating elegantly above the reading room, the driftwood is painted red and green on either planed end, and the magnetic rod at the top of the hoop orients the red end toward the north. Titled Seismo-sound compass, this work is the latest in a longstanding series of compasses by the artist. An instrument with an ancient history, the compass allows us to situate ourselves in relation to a larger surrounding, enabling us to see ourselves within a broader context. It refers to a frame of reference beyond our specific location and immediate perception. To Eliasson, compasses orient us not only geographically and topographically, but also socially. 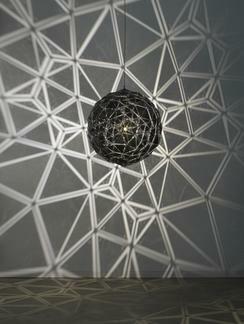 Knowing that all compasses are in sync makes us realize that we too are all part of something shared. 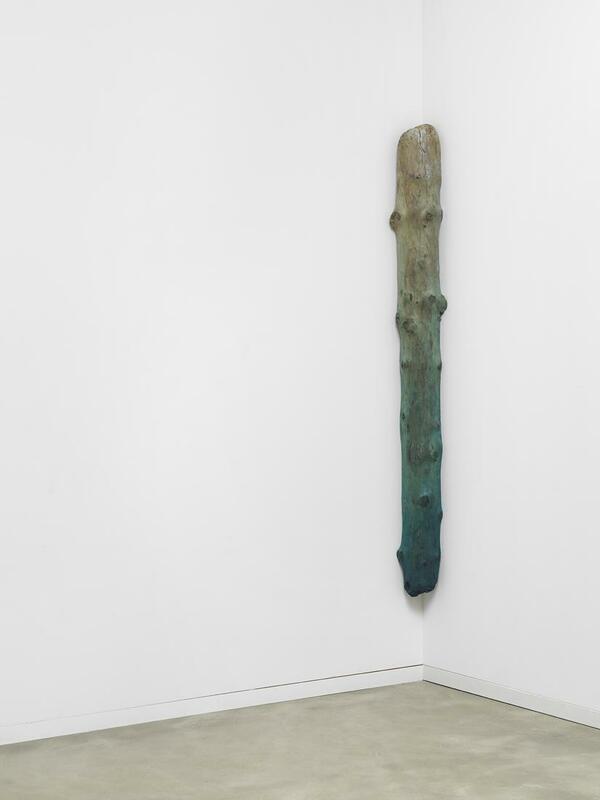 The driftwood used in this work was harvested from the Icelandic coast, carried ashore after a long journey through the ocean—Iceland has no forests. 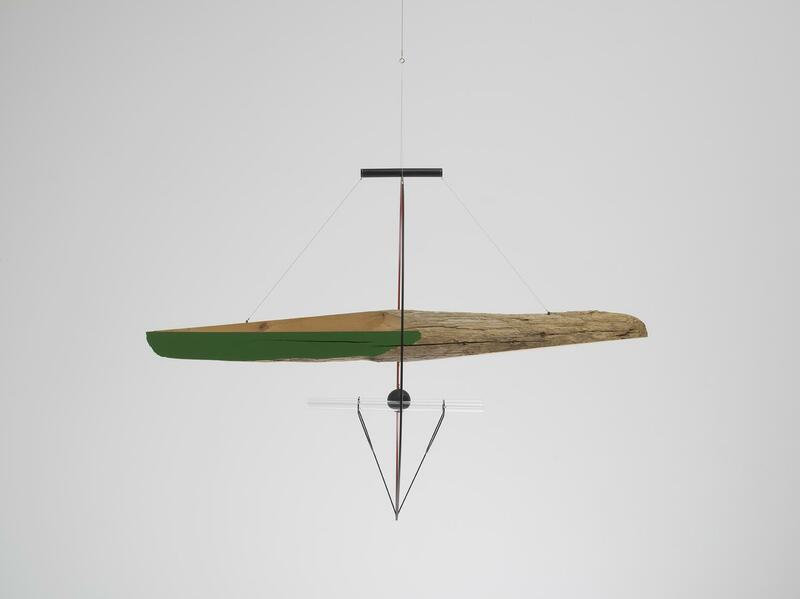 A recurring element in Eliasson’s work, the Icelandic driftwood is one among many threads with which the artist resonates with nature and his native country. 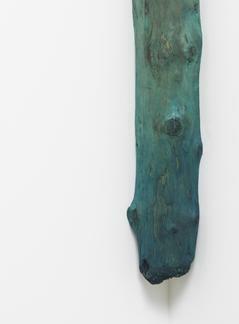 Four more pieces of driftwood have been placed in specific corners throughout the exhibition space. 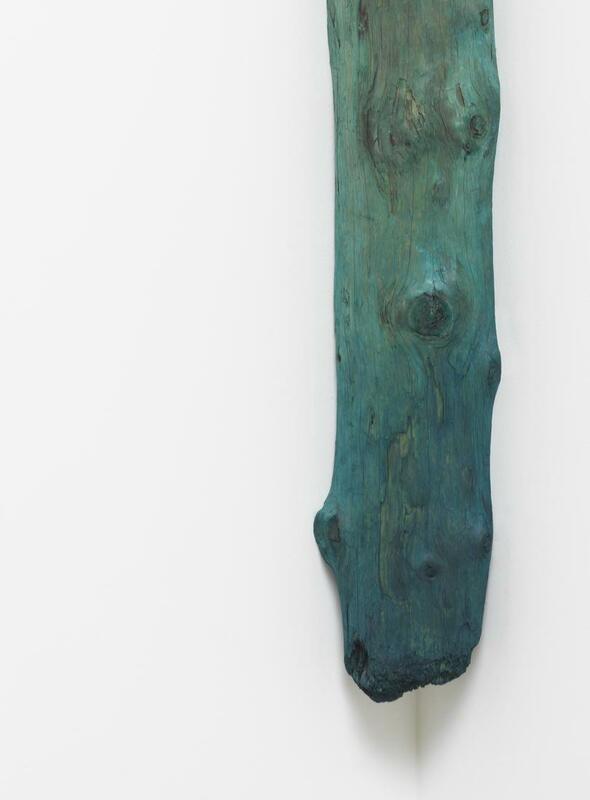 These logs, hand-painted in delicate shades of blue and green bear witness to the passage of time and physical space from their places of origin to the coast of Iceland. 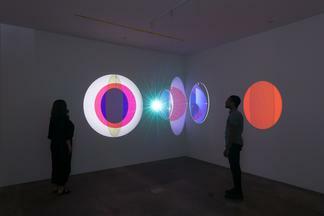 To the right of Moving together, the room installation Retinal flare space employs projected light passing through turning color discs, exploring color theory and spatial perception. The rotating glass discs—color-effect filters in cyan, magenta, and yellow—project circular and elliptical patterns that slowly move along the walls of the gallery, overlapping, extending and changing as they revolve. In the main gallery, the viewer finds three wall sculptures inspired by the captivating effect of lens flares. 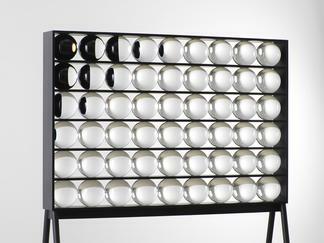 Made from dazzling handblown colored glass, each sculpture consists of a series of circles and ellipses in vivid hues. 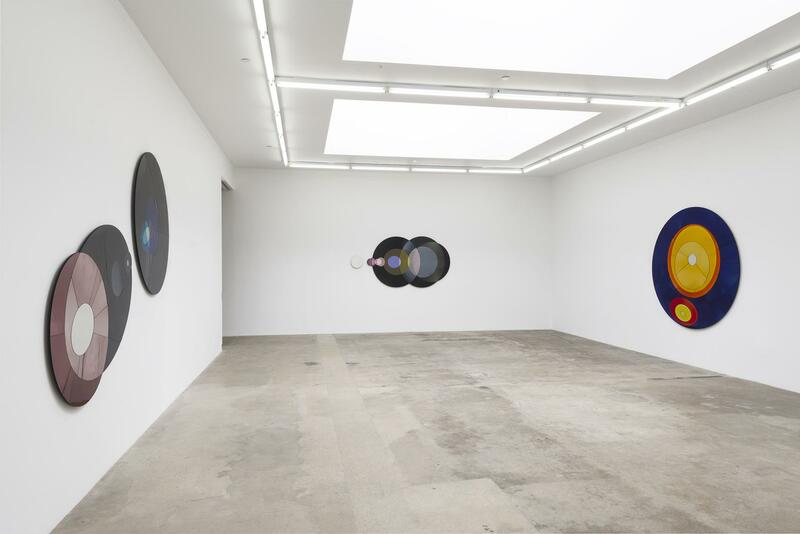 Reminiscent of cosmic arrangements, the ambiguous yet dynamic relationship between these nuanced two-dimensional ellipses is a theme that Eliasson has explored over the years. 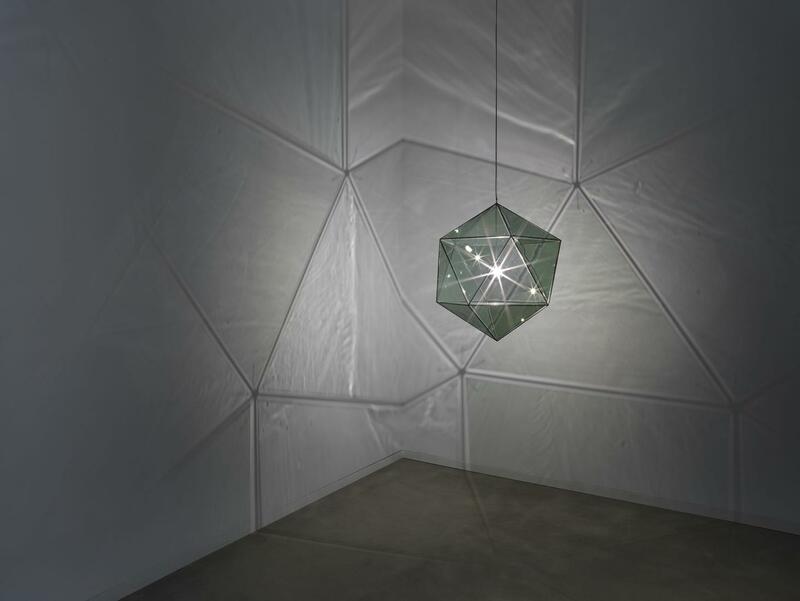 In a dimmed gallery space, an installation of hanging light sculptures form a linear progression of geometric structures. Beginning with a simple cube, the sequence evolves into ever-more complex polyhedrons. 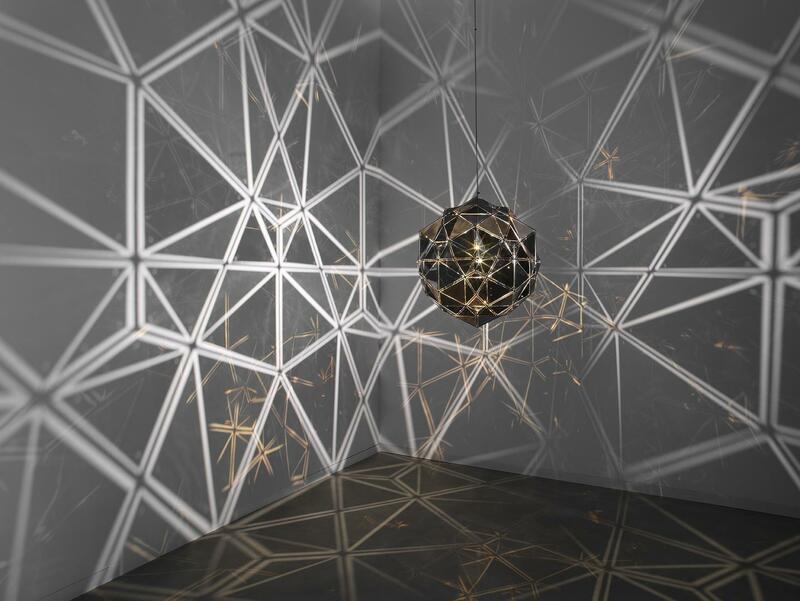 The structures are constructed from combinations of black, gilded and glacial glass, a special glass produced from the ground-up sand left in the wake of a retreating glacier. 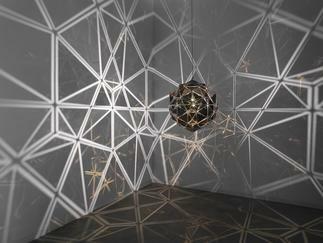 Lights inside pass through the faces, casting kaleidoscopic shadows onto the surrounding surfaces, while sporadic openings in the structures yield glimpses of the complex spaces within. 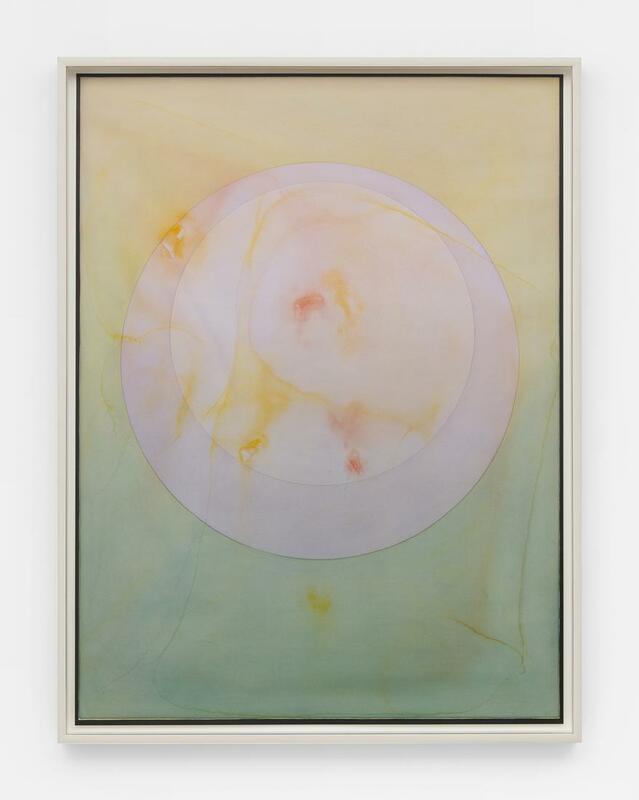 The last room includes new watercolors that continue the artist’s exhaustive investigation of perception and minimal geometric forms in color and movement. 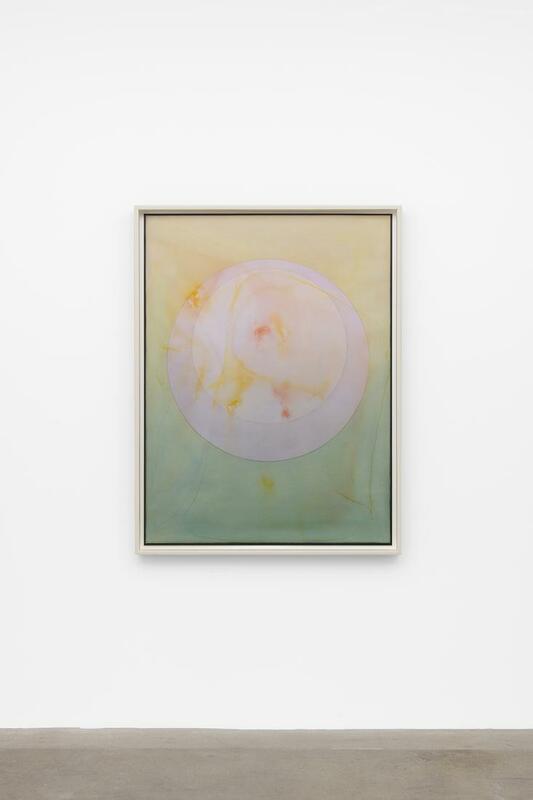 Through thin layers of pigment applied on paper, these works display an abundance of tones and intensities of hues. The circles and ellipses featured in the watercolors, as in the lens flares, can be construed as various stages in the motion of a revolving disc—giving the impression of depth, duration, and varying speeds of rotation—a concept that is explored in different mediums throughout the exhibition. 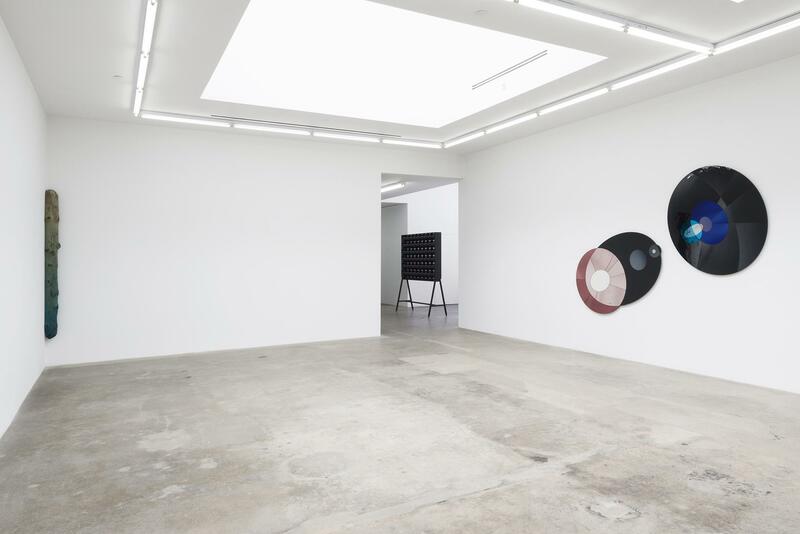 Since the mid-1990s, the artist’s work has been at the center of numerous exhibitions and projects around the world. 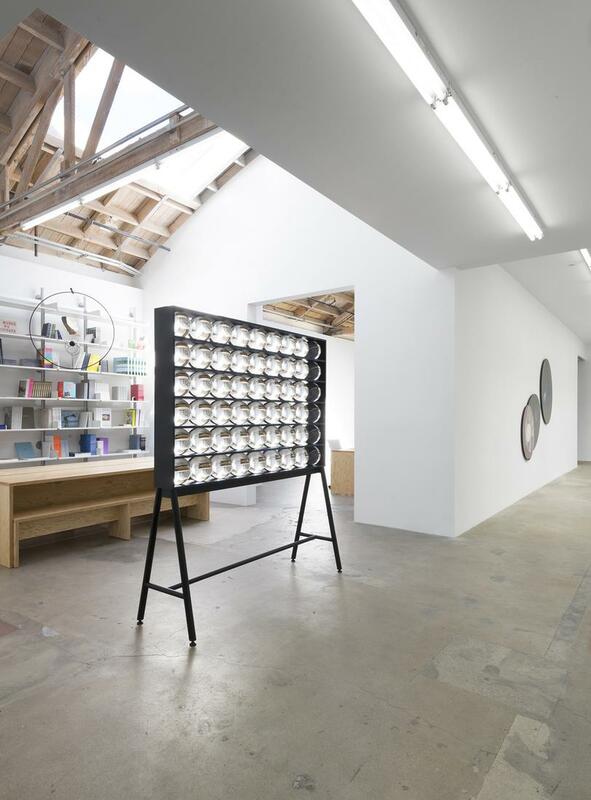 In 2003, Eliasson represented Denmark at the 50th Venice Biennale with The blind pavilion. 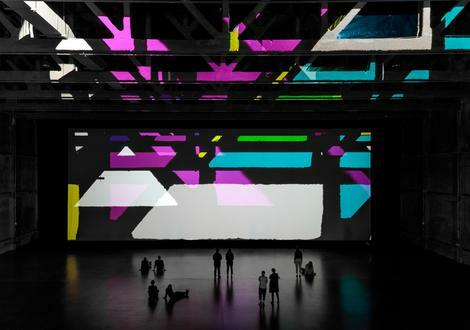 Later that year, he opened the celebrated work The weather project at Tate Modern’s Turbine Hall. 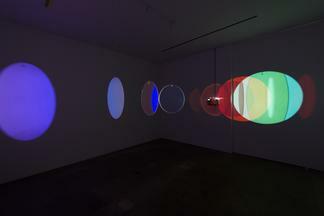 The artist’s first survey exhibition, Take your time: Olafur Eliasson, opened at the San Francisco Museum of Modern Art in 2007 before traveling to the Museum of Modern Art and PS1 in New York; The Dallas Museum of Art; The Museum of Contemporary Art, Chicago; and The Museum of Contemporary Art, Sydney, through 2010. 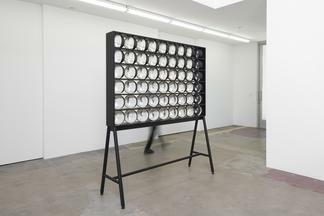 Recent solo exhibitions include Olafur Eliasson: The parliament of possibilities, LEEUM Samsung Museum, Seoul; Olafur Eliasson: Nothingness is not nothing at all, Long Museum, Shanghai; Olafur Eliasson Versailles, The Palace of Versailles; all in 2016; Maison des ombres multiples (Multiple shadow house), MACM Musée d’art contemporain, Montreal, in 2017; Olafur Eliasson: Reality projector, Marciano Art Foundation, Los Angeles, in 2018; and The unspeakable openness of things, Red Brick Art Museum, Beijing, which closed two weeks ago. 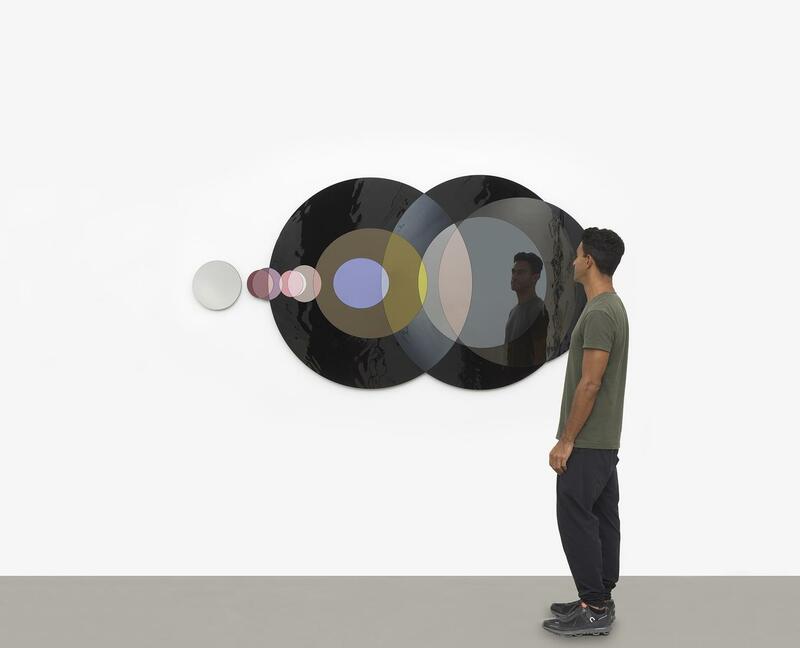 Upcoming in 2019, the artist will hold a major survey exhibition at Tate Modern. 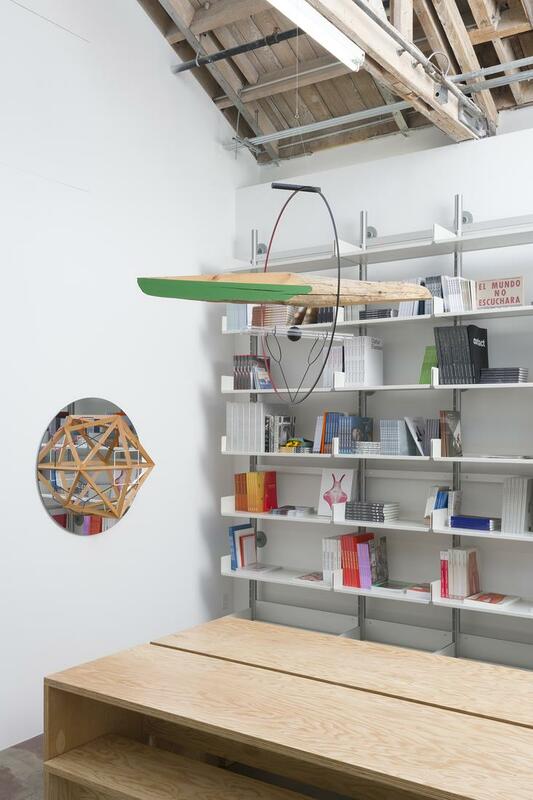 Eliasson’s projects in public space include The New York City Waterfalls in 2008; Ice Watch, in Copenhagen in 2014 and Paris in 2015. 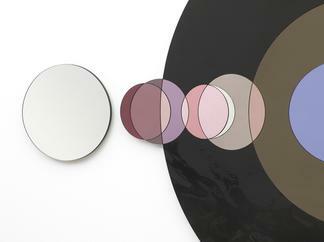 Fjordenhus, the first building designed by Eliasson and Sebastian Behmann with Studio Olafur Eliassson, in Vejle, Denmark, was completed this year, marking the shift of Studio Olafur Eliasson’s major architectural activities to a new international office for art and architecture, Studio Other Spaces (SOS), set up by Eliasson and Behmann in 2014. Little Sun, the social business founded by Eliasson and engineer Frederik Ottesen, produces and distributes solar lamps and chargers for use in off-grid communities, and works to spread awareness about the need to expand access to clean, sustainable energy to all. 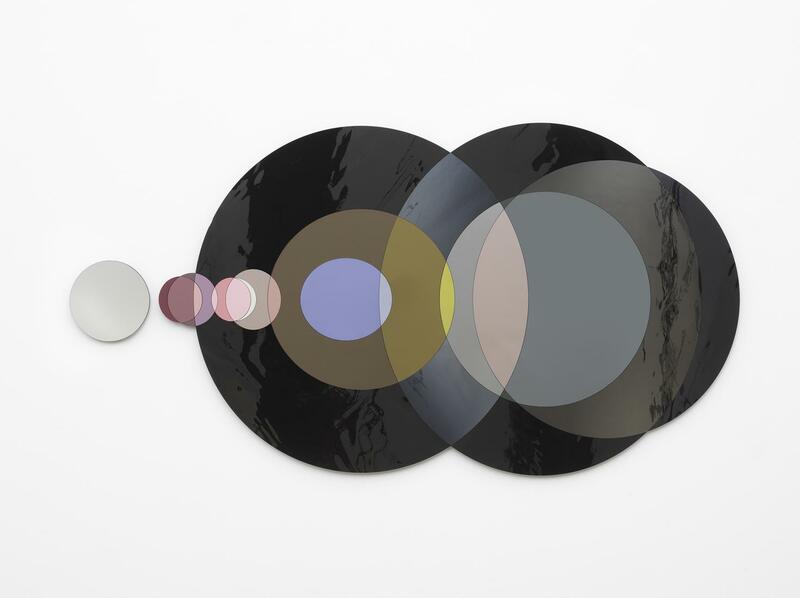 In addition, this fall, Phaidon will publish Olafur Eliasson: Experience (October 22, 2018; $85 US / $110 CAN), a richly illustrated 440-page monograph that tracks nearly three decades of Eliasson's career.